Some investors who bought new homes or condos in the past few years planning to flip them in a hot Toronto market are facing HST bills of up to $30,000. That’s because they didn’t read the fine print on the purchase agreement and they now have a problem that relates to the HST rebate that is available to buyers of new homes under certain conditions. When you buy a new home or condominium, there are rebates for the federal 5 percent portion of the HST and in Ontario, the provincial 8 percent portion.You can qualify for a rebate of 36 percent of the federal portion of the HST if the home costs $350,000 or less. If the home costs between $350,000 and $450,000, there is a sliding scale. At $450,000 the rebate ends. For the provincial portion, everyone can apply for up to 75 per cent of the HST paid, to a maximum of $24,000. You can also apply for the rebates if you build your home as well. It can add up to a sizeable sum. If a new home costs $300,000 and there was no rebate, the HST would be 13 per cent of the price or $39,000. With the rebates, you’d pay $15,600 for a saving of $23,400. The catch is that to qualify, the new home or condo has to be your primary residence, or you must prove that you have rented it out for at least a year. If you move in on closing, the builder often builds the rebate into the sale price and then applies to the Canada Revenue Agency for the refund on your behalf. Before the builder will do that, you have to sign a document saying that you will move in. If the builder suspects you will not be moving in, they have the right to ask you to pay the rebate on closing. If you bought the house as an investment and plan to rent it out, you can apply for the rebate immediately as well, but will have to send proof that you closed your deal and a copy of the lease agreement. If you sell the investment property within a year, you have to pay the tax. Many investors who bought new homes or condominiums several years ago from plans are trying to take advantage of the hot real estate market by selling without moving in. However, these same investors signed papers with the builder promising that they would move in, so the builder applied for HST rebates on their behalf. 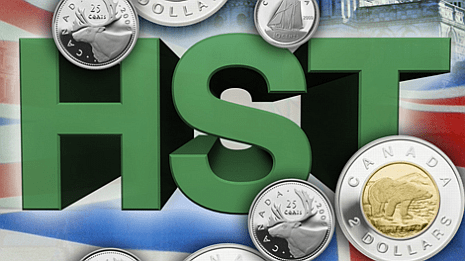 Now CRA wants the HST rebate back with interest. That can be as much as $30,000. I’ve heard plenty of stories from realtors about investor clients receiving demand letters from CRA about the HST. The lesson is that buyers must understand their obligations if they intend to apply for any HST rebate on a new home or condominium. Either you must move into the home as your primary residence on closing, in which event you can immediately apply for the full rebate, or you must rent it out for at least one year and then apply for the rebate. If you are intending to immediately re-sell your home without moving in, then just pay the full HST amount when you buy the home from the builder, and don’t apply for any rebate. This article has been changed from an earlier version to clarify the HST rules regarding investment properties.